The iconic Brady Bunch kids and elders will reunite this time, albeit for a different purpose. This time all of them are getting together for an extra renovation. So the fam is getting an actual second story with bedrooms and working bathrooms! Also a little spoiler, Greg’s attic would be turned to the carport-turned recreational room. At the SCAD’s aTVfest, in Atlanta, this very Friday to give us an idea into the four-episode series coming in September 2019. 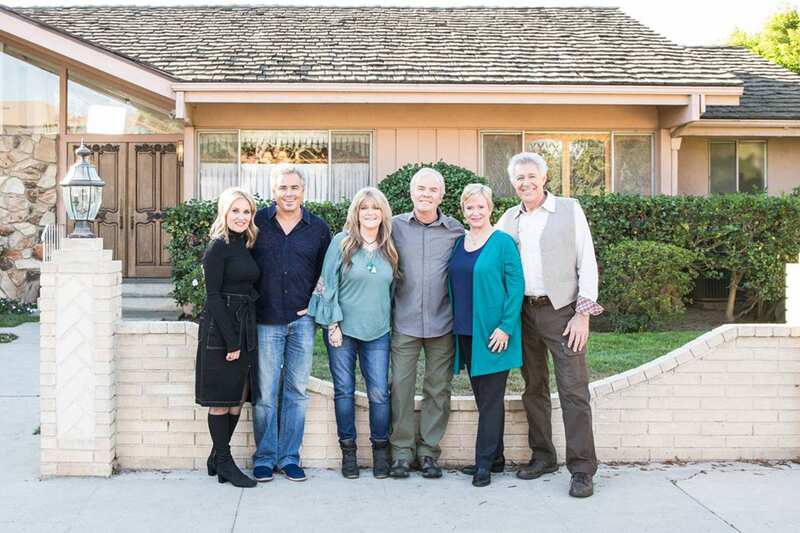 The mission of transforming the 2,000 square-foot home situated in North Hollywood, California is going to be an uphill task, which if you may remember was the outer shot of The Brady Bunch series. On top of everything, there’s adding a whole new level to the structure! This legendary and memorable North Hollywood home is just single story as we talk, so the producers are planning on building a deeper, living room to contain the master bedroom followed by the kids’ bedrooms, and of course, the Jack and Jill bathroom. Greg’s attic like I mentioned before, is moving to the carport. Like how high would you go with the house! News that HGTV talent will take part in the renovation has been doing rounds for now. We’ll see Property Brothers‘ Jonathan and Drew Scott, Mina Starsiak and Karen E. Laine, Leanne and Steve Ford, Jasmine Roth and Lara Spencer. After the series has finished airing, the network is clueless as to what it will do with the house. A total of 22 parties have bid on the property earlier. So there are a cent percent chances that somebody could end up buying the house. More as we have it.